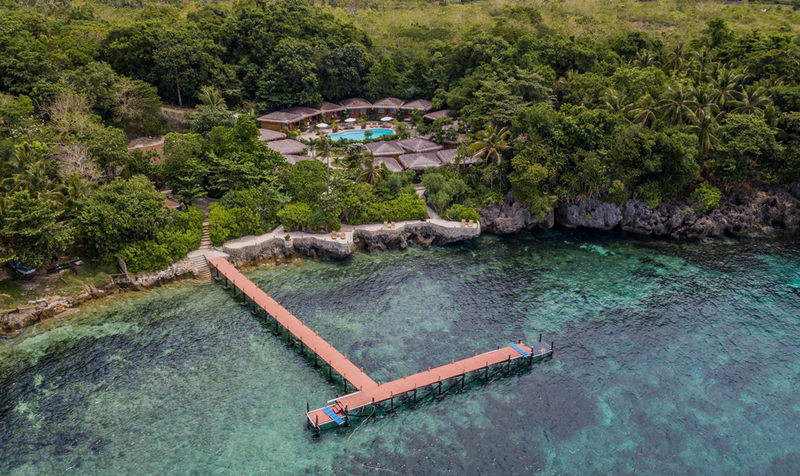 On the fantastic green and quiet island Bohol the owners of Magic Island Dive Resort have bought a beautiful lot and the construction of the resort started in January 2014. Magic Oceans Dive Resort can be found on the east coast of Bohol, in the town Anda, where theres is a fabulous house reef. Far away from the busy tourist areas. Candijay Town day tour includes a drive along Candijay, hummer vehicle ride at Cadapdapan rice terraces, sightseeing at Can-Umantad water falls with local lunch and native delicacies, sightseeing at Canawa Spring and Kawasihan Sand Bar. ANDA, BOHOL - SECOND DIVER DIVES FREE includes 7 nights Superior de lux Cottage accommodations, 5 days of 2-tank boat dives, breakfast daily, free WiFi, roundtrip airport transfers, hotel tax and service charges. Valid 6/1/19-9/1/19. ANDA, BOHOL - Magic Island's newly built sister resort in Bohol is now open! The 16-room dive resort offers a fresh water pool, restaurant/bar and massage services. The house reef is available 24/7 for easy shore diving. Up to four boat dives a day to sites within 40 minutes of the resort. Trips to Camiguin for muck diving, South Leyte for whale sharks also available. ANDA, BOHOL - 7 NIGHT DIVE PACKAGE includes 7 nights superior deluxe cottage accommodations, 5 days of 2-tank boat dives, breakfast daily, free WiFi, roundtrip airport transfers, hotel tax and service charges. ANDA, BOHOL - BUILD YOUR OWN PACKAGE includes 7 nights superior deluxe cottage accommodations, breakfast daily, free WiFi, roundtrip airport transfers, hotel tax and service charges. Options to add-on Bohol Adventure Tour, Lamanok Tour, Candijay Tour and Fireflys and Seaweeds Tour.